Great Father’s Day weekend. Saturday evening we took David to Benihana. He has always loved it. Davey loves it too. He thoroughly enjoyed the entertainment and the food! We made special Father’s Day cupcakes for David. Pinterest of course was the source, although I found them through my friend Carol. 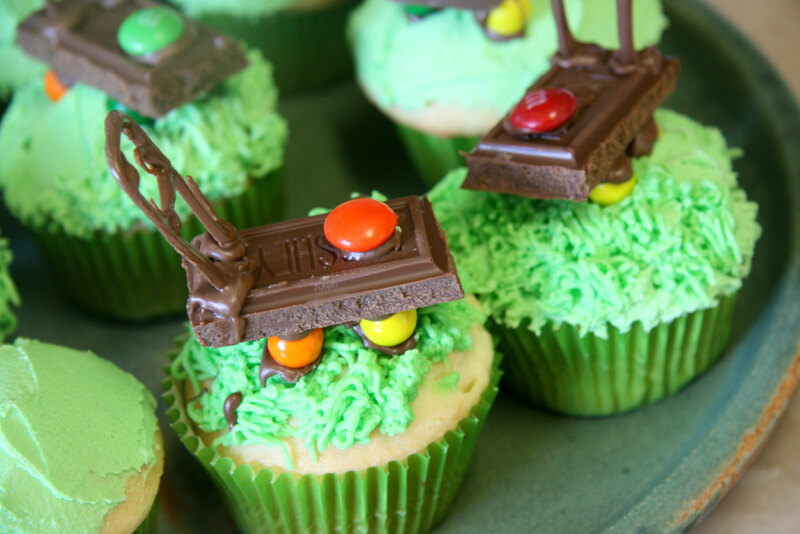 We decorated the cupcakes with lawnmowers sitting on half-mowed grass. Not that David, in a million years, would leave the lawn half-mowed. I will say that his first guess was that these were wagons. I can see it. We used Wilton melted chocolate disks as the “glue” which was a little messy. Those lawnmower handles were very tricky, but overall, they looked pretty cute. I also made David a key lime pie. I’d take a picture but it was GONE too fast to be photographed. It was a great recipe. It called for plain Greek yogurt, and it was a reduced fat pie. It was the best recipe ever as you’d never guess that it was a “healthier version.” I’d like to say that Davey discovered that he loves key lime pie and that he really laid into that pie. But that ain’t so – it was all David and me. 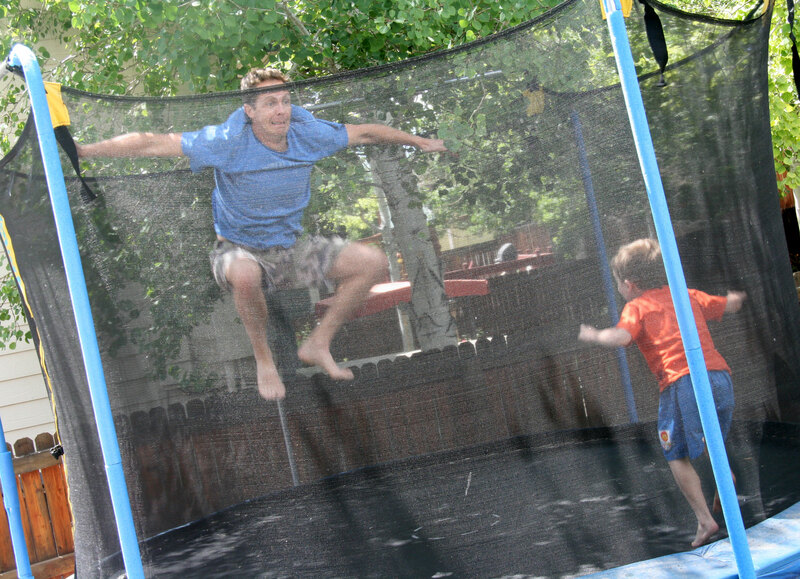 We had a nice Father’s Day afternoon as well. 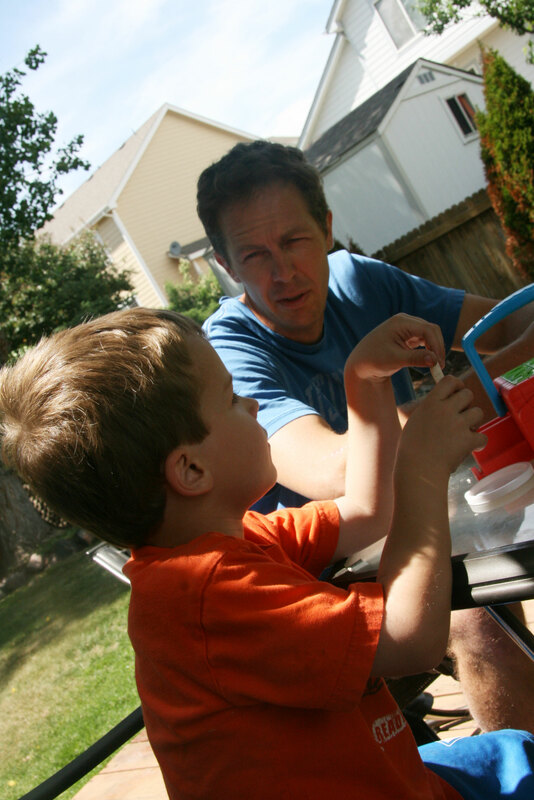 David and Davey played with the playdoh outside. They were probably having a discussion about Harry Potter here. It’s always a safe guess these days. Davey, as always, loves a celebration. We had a nice one.